New writer | Don't open that door! There is a myth about Icarus and flying too close to the sun. This story is about hubris. But I look at this story from an introvert’s point of view and I see something else there, too. I see Daedalus, the father, worked hard to fashion the wings and actually tested them himself. Then as he was flying off to freedom, he told his son, don’t do these things because I know they will be disastrous. Daedalus was an introvert. A person who wasn’t looking for glory, he just wanted success. He wanted to be free. I, personally, am getting pretty tired of being told I can make a million dollars in two days without any work. I am getting tired of someone telling me if I work twenty hours out of twenty-four each day, I will succeed and be free. If I push myself beyond my limits I will grow and learn freedom. For awhile, I actually believed in what people were telling me. I worked long hours, consistently, and fervently. I was driven to succeed. Did the business I worked for succeed? Yes. Did I succeed? No. I made myself sick. I lost everything and I had to start over again and again and again. Every time I pushed beyond my limits, I fell. That’s when I realized I was attempting to be Icarus, when in fact, I was actually more like Daedalus. How many times does a person have to ram their head against a wall before they realize than can turn? Well, the answer for me was over twenty. Over twenty times I rammed my head against the ceiling of extroversion. Over twenty times, I fell flat. Why am I starting this series off by telling you about my failures? Because each of those failures brought me closer to accepting who I am. I am an introvert and it took me too long to realize it and use it. I don’t want you to be like that. Ramming your head against the wall of sales pitches that tell you if you don’t do it their way, you will fail. Tell you, if you don’t push yourself beyond your limits you won’t succeed. Don’t make yourself sick like I did. We are exploring introversion in small business. We will start to understand that nothing is perfect. No extrovert method is exactly right for you. We will begin to understand as an introvert, you have the freedom and confidence to take time to be alone, recharge yourself, and still make a successful business. For me, writing is turning into the lifetime dream I’ve always yearned for. For you, it might be crafting widgets for woogles. Whatever it is, the skills to make it happen lie inside you. In all your wonderful, amazing, thoughtful, alone but not lonely, introverted self. Tomorrow, we explore B – Business Plan for introverts. I hope you join me. Sometimes we need motivation to write. It’s not that the ideas are not in my head. No, they are floating around in there, taking up valuable space. Space that could be used for something productive, like deciding to do the dishes, or how to start a novel. The story idea bubbles in my head bump into and absorb all regular thought bubbles that normal people have bouncing to and fro. Instead of popping and disappearing, my story idea bubbles incorporate regular thought bubbles into themselves. Yesterday, when we first started NaNoWriMo, I had no clue how to start my novel. I’d read that you should start out with a question to answer. I can’t remember where I’d read it. There have been so many blogs, articles, and books I’ve read lately to prepare to start my writing career that I can honestly say, I would have to go back and re-read everything to be able to quote anyone. So I’m not going to quote. I am just going to say that I’d read it. Because I did and it stuck in a thought bubble in my head. So this thought bubble Nano story that I’ve been outlining and researching had no real start. Where was I gonna get the first sentence? How the hell do you start a novel? Yes, I did think those things. Even though I’d read a lot about how to prepare, get through writer’s block, and sell a novel, I didn’t really read anything about how to start the damned thing. Except that one time, when I’d read that you should start with a question. That’s the thought bubble I woke up to yesterday. What question should I start my novel with? I’d looked at my outline, and away we went. But there was one more thing that motivated me today. Yup, Chocolate. The other motivator. If I could at least type the minimum of 1,666 words, I’d get that piece of chocolate. Not just any chocolate, either. 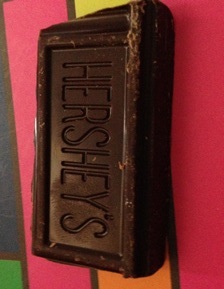 Hershey’s Dark Chocolate. I woke up to the alarm at four thirty this morning. I deliberately set the alarm sound to be something soothing last night, so I would be gently awakened. Well, let me just say that last nights soothing sound is this mornings niggling warble. And I think I’ve said it before. I hate niggling. My bleary eyed self tried to get dressed in the dark. It’s not very easy. So I turned on the flashlight of my phone. Too bright, I think I burned my retina’s. I turned off again. Who was the idiot who thought getting up at four thirty in the morning was a good idea? Oh yeah, me. Why? Because I had to make the word count. Remember back in the late eighties and early nineties when Dunkin Donuts had the commercial with the surly, pudgy baker waking up early? He would say, “Gotta make da donuts.” That was me this morning, surly, pudgy and saying, “Gotta make da word count.” NaNoWriMo started today and I’d told myself I was going to get up early and attend the first write-in. That was before I actually had to get up. That was when I was brightly awake and blithely ignorant of the consequences to my body and mind. Now I was up, dressed, and on my way, driving six miles to the first write-in at a Starbucks near the mall. I was late. The stupid phone navigator took me to some suburb. I cursed the male voice. Yes, I had changed the female voice on my I-phone to the male voice. I thought it would be cooler because the lady just got on my nerves.. I was wrong again. At five o’clock in the morning, driving through fog, trying to find civilization and maybe a cup of coffee, the male voice pissed me off too. I can’t win. And the next thing I knew, I looked up and it was an hour and a half later. I glanced at my word count. 2,038. I still had more to say about this world I was in with my characters. So much more. I had barely gotten started. What the heck? I closed everything down and put it away. It was time to head home and maybe write there. As I was walking out, someone mentioned that their hands and arms were sore from typing. I realized that mine were sore too. I was just like the other writers. It hit me. I was just like them. I am a writer. I smiled as I got in my car, started it up and drove home through the lifting fog. It’s almost time to start the race. The NaNoWriMo race. I’ve been perusing some writing blogs I follow and they all seem to have opinions of the process. Whether good or bad, they have opinions. Some have experienced it and others haven’t. However, the event is affecting many individuals. That’s amazing to me. Until a few weeks ago, I’d never heard of it. That doesn’t say much, but, it just seems that even if you don’t like the idea, it’s still something you’ve put thought into writing a blog post about. That’s powerful. I am going to write a novel in 30 days. Let me rephrase that. I am going to write a rough draft novel in 30 days. I don’t expect it to be perfect or publishable. 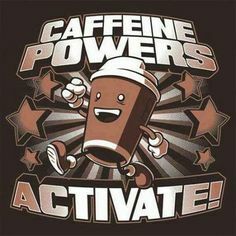 I will just have a pile of words, thrown together in some form of flow that I can then go back and edit, polish, and otherwise hack to death. Sort of like a cord of wood, piled in my driveway. I’ll have to split and stack it later, but it’s got to get off the trailer and into a pile near my porch. But it’s still a pile of words, which is more than I have now. The story needs to be written. It’s in my head and until I am able to get it out, it will sit there, festering and niggling me. I hate niggling. I really hate niggling. One blogster (is that even a word? it is now.) wrote that they hated this part. The fun part was putting the words together and making a beautiful story. Another one said they loved this part, just blithely using the creative process to build a world that is chaotic and wonderfully insane. because it just needs to be done. T-minus two days. The adventure begins. The players will belly up to their keyboards, Ipads, legal pads, or whatever and wait for the gun to go off at 12:01 am on November 1, 2013. The race to 50,000 words will begin. Even if we don’t win, all of us are part of something big. Something that is talked about for awhile throughout the blogging universe. Good or bad, it’s going to happen. Wish me luck or don’t. I’ll see you on the other side. I’ll be the one with the cord of words in my driveway, near my porch, ready to be split and stacked. How many times have you been watching a movie and had the insane urge to scream at the screen, “Don’t open that door! The bad guy/monster/ghost/boogie man is behind there!” And then the blonde/brunette/redhead disposable actor does it anyway, then they get killed, and you say, “I told you so…” We feel all superior in our knowledge that we’d never do something like that if we were ever in that situation. I know how you feel. I said the same thing. Notice that I used the past tense. I don’t say that anymore. Let me tell you a story of why I don’t. The year was 1980, I was 14 going on 15 and my brother and I had decided to see a Friday night movie. The only movie playing in the small Wyoming town we lived in named Pinedale was a horror b-movie classic called “Prophecy, The Monster Movie“. It turned out to be a bad take on what happens when there is too much mercury in the water. A giant trout jumps out of the water of a beautiful backwoods lake, the animals all go crazy, but the worst part was the bear/pig/skinless monster thing that is a female looking to protect her family of monsters. Talia Shire and Armand Assante don’t make it any better. But to a fourteen year old’s limited exposure to horror, it was terrorizing. The movie wasn’t particularly gory by today’s standards, however, I had to leave the theater and peek through the curtain to finish the movie. It scared me more than I’d ever been scared before. The ride home with my brother in the back of the little red Toyota pickup was cold, silent, and watchful. We both knew at any minute that monster would come through the back window and kill us all. Needless to say, nightmares ensued for a few days. 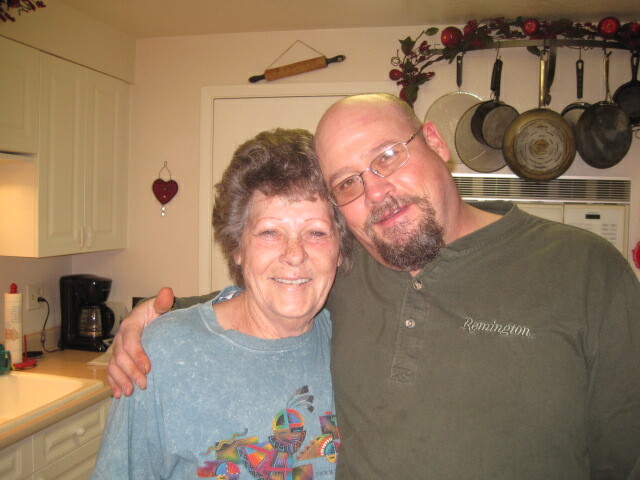 A couple of years passed and we’d moved from a ranch in Pinedale, Wyo. to a ranch in Jackson Hole, Wyo. I had been driving for two years. I was sixteen and as all sixteen years old who drive, I was very cocky and sure of myself. It was a mid-winter night. Jackson in mid-winter in 1982 was bitter cold, frosty, and deep in snow. The snow was piled high on the banks of the road going into the ranch. It wasn’t too late, close to midnight. My brother and I were coming home from watching a horror movie that was even more forgettable than the one in 1980. We were reminiscing about that time in Pinedale, when that movie had scared us so bad. I drove down the packed snow road through the ranch in the same little red Toyota pickup. The snow plows had piled the snow high enough on the banks that the darkness coupled with the dim head lights created a sense of driving through a tunnel. The only true clear vision of what was ahead of me was the packed snowy road and the sides rising up like frozen stalagmites around a cave. Dimly I saw the outlines of forest trees passing by just past the banks. Perhaps I was going a little too fast for the conditions, perhaps. But, we were discussing the funny way we were so afraid back then and how we weren’t afraid of it now. I haughtily made the comment that if I’d been the one driving the truck when the monster burst out from the brush in the dark, I would never have stopped like Talia Shire did. No, I would have just hit the gas and run that damned monster over. We both agreed that would be the case. Within seconds, at the very edge of the dim headlights, a huge, dark figure burst from the side of the snowbank into the middle of the road. It’s gigantic burly head swung in our direction and dangerously glowing red eyes gazed malevolently at us. I saw the bear/pig skinless female monster roaring with grotesquely crooked teeth, ready to rip out our throats. What did I do? What would you do? I gripped the steering wheel tightly and slammed on my brakes. I slammed those brakes hard. So hard that we went into a slide, slowly gliding closer to the evil monster thing. We were helpless now, I had no control of the truck and I was going to die. I just knew it. I glanced at my brother. His hands were braced against the dashboard and his eyes were bulging out in fear. Our little red Toyota pickup slid closer. The monster became clearer as we slid closer and came to a gentle stop probably 15 feet from it. I had just done what I’d sworn I would never do. I had stopped. Now we were dead, just like in the movies. I blinked rapidly still seeing the monster for a second raising it’s wrinkled pig/bear head to roar at us. Then my vision cleared and I saw what was truly there. The biggest male elk I’d ever encountered was huffing energetically in front of us. His nostrils were blowing steam puffs into the cold. He stood tall and broad-shouldered in front of us, regally daring us to come closer and taste the death of his antlers. We didn’t take the bait, so he shook his massive head, turned and leaped up the other side of the snow bank back into the darkness. The little red Toyota pickup, my brother, and I just sat there. The silence was only broken by the warm idle of that little red Toyota pickup. I looked at my brother, back at the empty road, then back at my brother. He looked at me. We burst out laughing. Probably a little too hysterically and with huge relief. We couldn’t help it. We laughed for at least three minutes. I shifted into first gear and slowly drove the mile and half home. Neither of us said a word on that drive. I parked in the driveway. We both got out of the little red Toyota pickup. We went inside and went to bed. We didn’t talk about it again until after many years had passed. But that’s a different story. The point of this one is that I decided at that moment to never say “Don’t open that door..” again. Ever. I’d learned my lesson. Art does have a basis in reality and horror can make you do things you wouldn’t ever think of doing if you were just watching it. Like an outsider looking into a movie safe and warm in your chair. Hence the basis of my novels. What would happen if you put a normal person into a horrific situation. Would they always do the wrong thing? Or would they act with the same detached insight we have in our haughty chairs? Let’s go on this path together and find out. Will you join me?